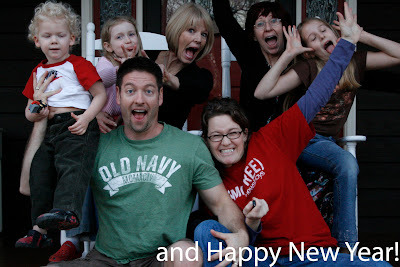 Our Kids at Home: mere hours from a New Year. mere hours from a New Year. i really want to thank everyone for all of your well wishes and prayers for Lauren. she is a trooper. doing great! all that's left is a 1" boo boo where the doctor took out the tumor. i have to say one of my favorite things about Christmas is receiving Christmas cards. it is so great to see and hear how everyone is doing. and it was so nice to hear from so many of you that you are enjoying our blog and are able to keep up on our life happenings. we will keep sharing! 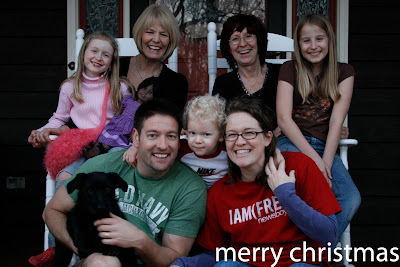 missed some of our family being here, but really felt God worked it out exactly how he needed to. maybe next year. in other happenings i have mentioned before how i have such a hard time scrapbooking now. time issues. well i believe i may have stumbled upon the answer. one of my favorite scrapbookers is Becky Higgins (www.beckyhiggins.com) and she has just come up with the 365 project. my explanation will not be nearly as good as hers. check out her website and see if this is something you might be interested in. i am planning on purchasing this little goody and am planning on using it as she is; for our family albums. jack, my sweet little man, is officially potty trained. occasionally, a little mishap, but mostly all his business is on the potty. so excited. he loves to play with his little train set, but mostly wants to play with daddy's train set. likes to talk about Santa Claus but Santa Claus should not come anywhere near him. good stuff. jeff and the girls are diligently building their treehouse. jeff and i are supplying the floor and roof, they need to save their money for the walls, windows, etc.. if all goes well should be complete by April/May. will post updates as it grows. headed to a family new year's celebration downtown in a little bit. from our house to yours we wish you a wonderful New Year.